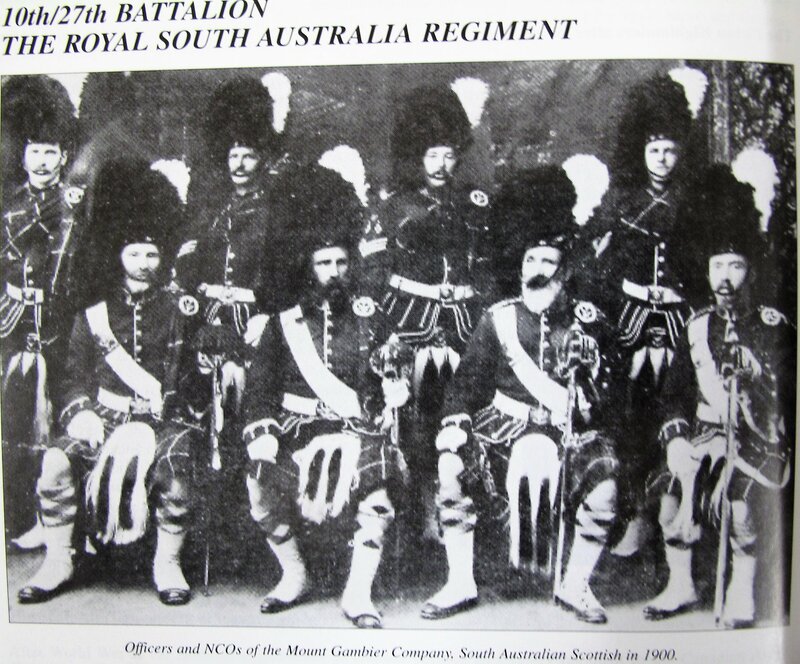 The Royal South Australia Regiment traces its descent from the Militia and Volunteer units formed in the 19th Century. A contingent fought in the South African War. The South Australian Scottish Regiment descends through the 74th (Boothby Battalion) which was formed in 1911 and which fought in France and Flanders, Gallipoli and Egypt during World War 1. After World War 1 the regiment was reformed as the 2nd Battalion 27th Infantry (Boothby Regiment). In 1921 it amalgamated with the 5th Battalion 27th Infantry to form the 27th Battalion South Australian Infantry. 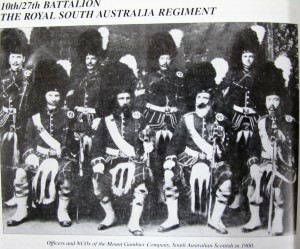 The regiment adopted the Mackenzie kilt in 1938 when it became the 27th Battalion (South Australian Scottish Regiment). During World War 11 the 27th Battalion formed two battalions. The 1/27th fought against the Japanese in New Guinea and the 2/27th fought in the Middle East and the South West Pacific. On the reintroduction of voluntary military training with the Citizen Military Forces in 1948, the 27th Battalion was reformed. The alliance with the Seaforth Highlanders was officially authorized in 1952.